Nandikeswara is a reclining bull. Nandi is the mount or Vahana of Lord Shiva. Adhikaaranandi is a form of Nandikeswara. Adhikaaranandi resembles the image of Lord Shiva. 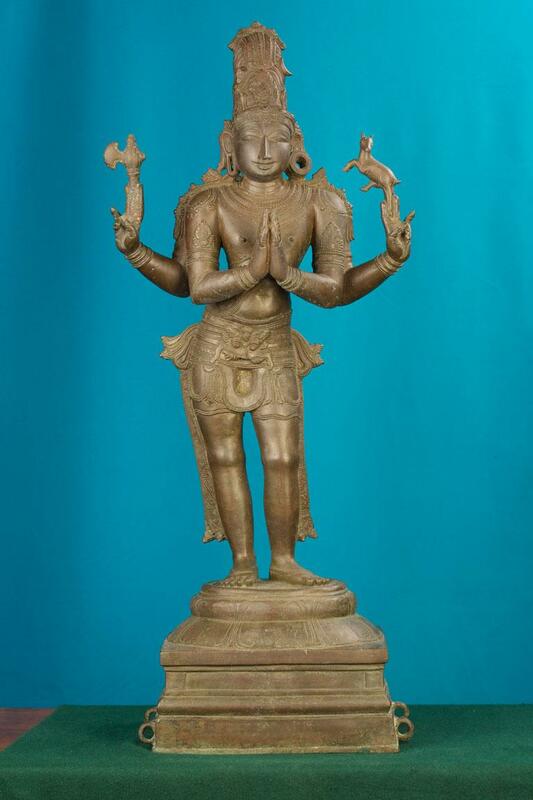 The exhibit is a four handed Nandi standing over a lotus pedestal. The upper hands hold Parasu and Deer while the lower hands are folded on the chest in the anjali pose.